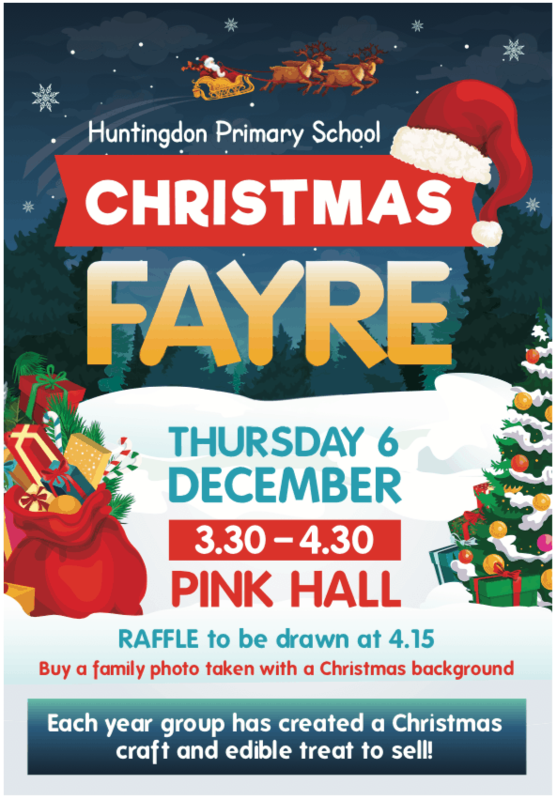 On Thursday 6th Dec it’s our Christmas Fayre! After school, 3.30-4.30 in the Pink hall. We’ll have all sorts of Christmas goodies, most made by our children, and some festive games. You’ll also be able to have a family picture taken in our Green Screen room with a festive background, which we’ll have professionally printed.